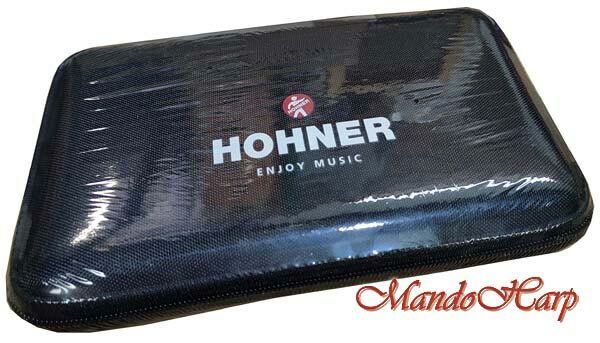 The Hohner International HH1501 Bluesband is a popular entry-level harmonica manufactured in China for Hohner under strict quality control. 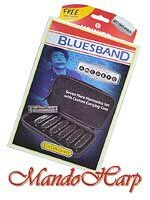 The M91105 Bluesband Starter Set comprises a strong custom harmonica case with carrying strap containing seven Bluesband HH1501 Harmonicas in the keys of A, Bb, C, D, E, F and G.
The right keys for a good start! 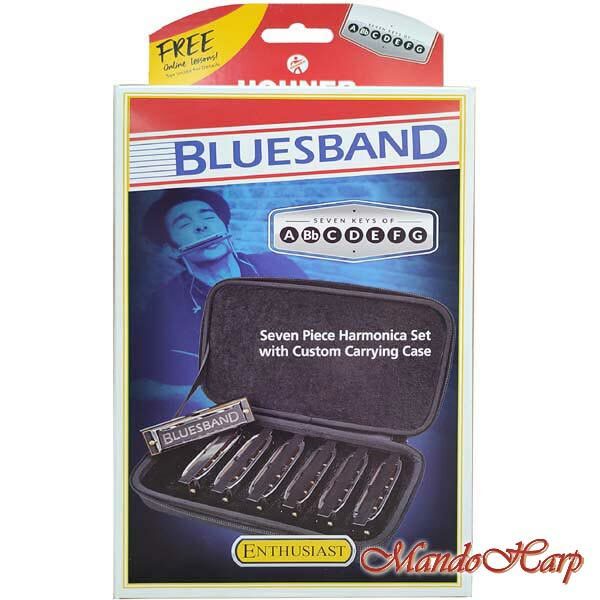 "This 7-piece set comprises harmonicas in the most popular keys (G, A, Bb, C, D, E, F) to get you started playing folk, blues, rock or country music. It also comes with a reference key table, so that you will always know which key to use for the individual songs. The set is offered in a practical customer-friendly case with carrying strap! 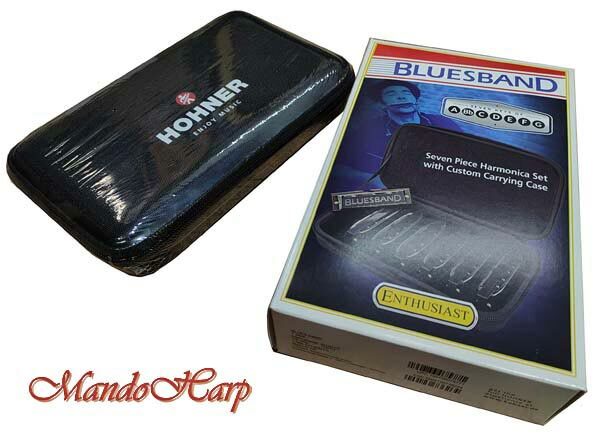 The popular HH1501 Bluesband harmonica is affordably priced and features quality construction in a beginner's harp. Durable ABS plastic comb, heavy nickel-plated cover and sturdy carrying box. 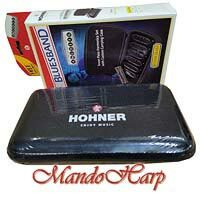 Popular beginner's harp with great tone and an easy price." This finely designed and manufactured harmonica set contains the keys of A, Bb, C, D, E, F and G. Other harmonica models can be accessed from our Harmonica Index. 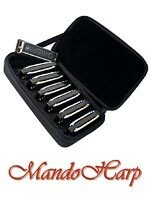 Dane Clarke personally tests and performs any necessary adjustments and fine tuning on every MandoHarp harmonica sold. 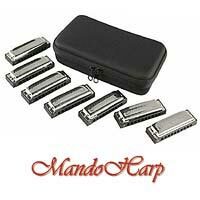 We will have further postings of quality Harmonicas just as soon as we can get the listings constructed.